Slatepoint is an interactive tablet designed for on-site use in the retail and entertainment sectors. The system has been developed by our parent company Pro-Networks Ltd and Loyalty Pro is responsible for the marketing and support of it. With all our resources under one roof we are able to tailor the products to your business individual requirements. The system can be updated remotely by us in real time, allowing us to alter the screen display content as well as the configuration and operation of the applications. In other words we can ‘take over’ the screen and assist you with any operations via our help desk. What's more, the touch screen display allows it to be accessed by both staff and the customers. 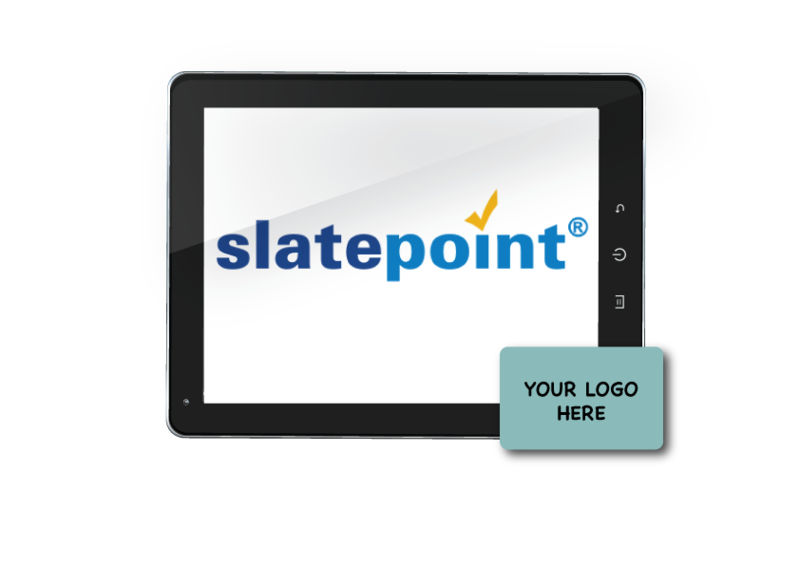 Slatepoint tablets provide a modern, reliable and aesthetic solution to improving any user experience and supply you with features and support your business needs. We currently provide and support 5 types of application on the device.